Best Harness for Dogs Ultimate Comfort and Strong Control, Outstanding Design! Each dog owner supposes his dog to be the best and the most gorgeous. We try to make them feel well, happy and look the best way. Here dog accessories play a great role for comfort and style of your beloved pet. The best dog harness is to supply you and your pet with comfort and make it look gorgeous. Show how you treat your pet. 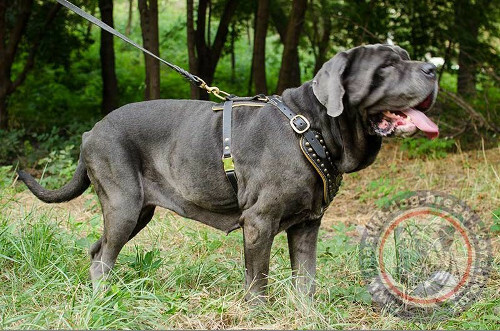 Choose the best harness for dogs elegant style and supreme comfort! This royal handmade leather dog harness has a really regal look and luxury quality. This new mastiff harness is handmade by experienced specialists. All the details are reliably fixed by stitches and rivets. 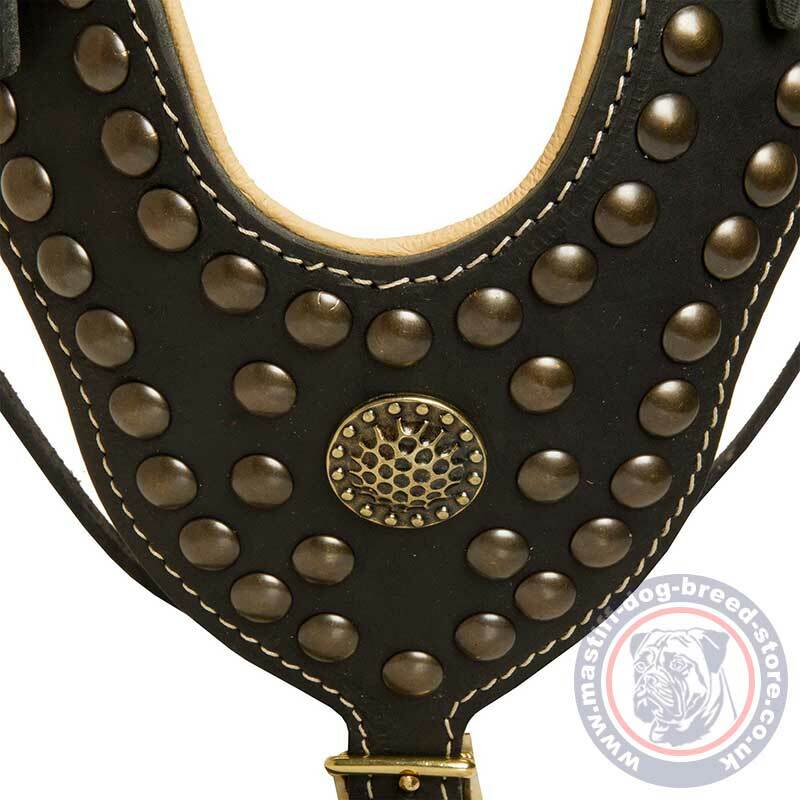 Handmade leather dog harness has soft calve leather lining of natural color. The front plate is decorated with brass studs and a vintage medal at the center. Soft nappa lining prevents rubbing and irritation. It will keep dog's fur shiny and healthy and make your dog feel perfectly in active walking. 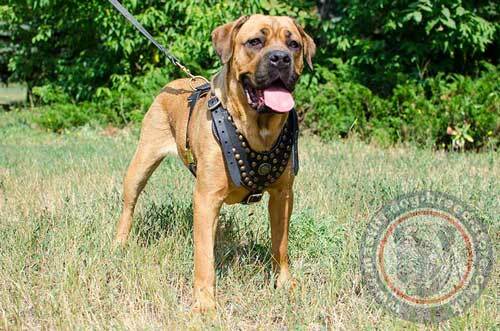 Choose luxury handmade leather dog harness to underline the original breed of your mastiff! Pamper your pet! Choose the best quality, handmade leather dog harness for dog walking in royal style and with supreme comfort!